* track 16 - 17 : Limited Edition European bonustracks. Doro Pesch (lead vocals) . Track 1, 2, 3, 5, 8 ; Produced by Jurgen Engler and Chris Lietz. Mixed at Atom H Studios, Engineered by Chris Lietz. 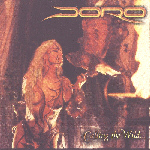 Track 8 mixed by Uli Baronowsky at Skyline Studios, Dusseldorf, Germany. 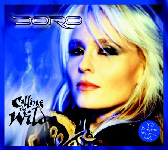 Track 4 and 11 ; Produced by Doro Pesch and Andreas Bruhn. Recorded by Andreas Bruhn for Ear/Drum at Egopark.Hamburg. Track 6, 9, 12 ; Produced, Recorded, performed and Mixed by Jimmy Harry at 3:20 Studios New York. Track 9 ; mixed by Andreas Bruhn at Egopark.Hamburg. 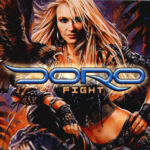 Track 7, 13, 15 ; Produced by Doro Pesch and Rudy Kronerberger. Recorded and mixed by Rudy Kronerberger at Crownhill Studios. Track 10 ; Produced by Lemmy Kilmister, Doro, Bob Kulick and Bruce Bouillet. Mixed by Bruce Bouillet, Lemmy Kilmister, Doro, and Bob Kulick. Recorded at Office Studio's, Van Nuys, CA. Track 14 ; Produced and engineered by Mike "Metal" Goldberg and Nelson Ayres at Intermediapost, NJ. Additional recording and mixing by Jurgen Engler and Chris Lietz at Atom H Studios. Details about the musicians on track 7, 13, 15, 16 and 17 are not mentioned in the first pressing of the CD-booklet. Eric Singer surely plays on track 16 "Alone Again (demo)".